Billy the cat was on a diet but he kept getting fatter and no one knew why. “Even the vet commented on it,” revealed Wendy Mitchell, who is living with dementia. Wendy, who is 62, was diagnosed with early onset dementia in 2014. Earlier this year, her book, Somebody I used to Know, became a Sunday Times best seller and Radio 4’s book of the week. Her account of being diagnosed with dementia and how she has coped with it has inspired many. 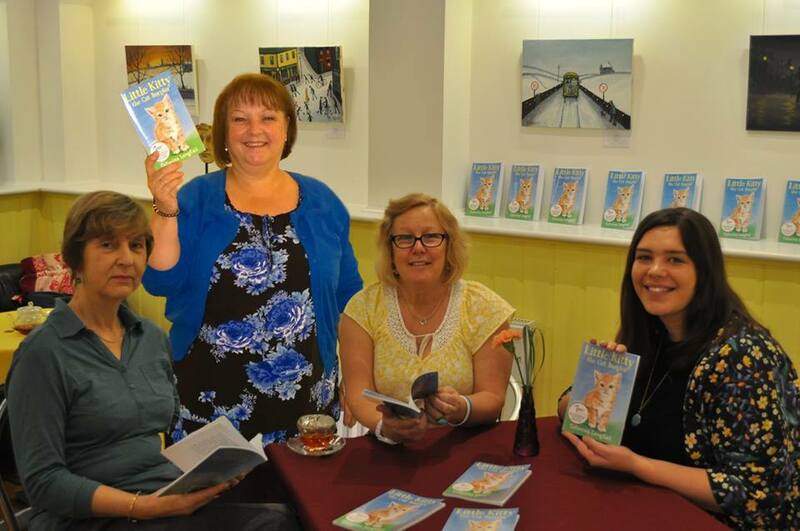 She spoke at the recent BRACE conference #Together4Dementia in Bristol and read her favourite extract from her book about her daughter’s cat Billy who kept getting fatter and fatter. ‘Billy pads into the kitchen performing a tiny dance in front of my feet before he finds the patch of sunshine on the kitchen tiles. He flops down on it while I scratch the back of his ears while he purrs his approval. I shake some biscuits into his bowl and he gets up and crunches on them noisily. He’s only allowed a few as Gemma has put him on a diet. She’s not sure why he’s put on so much weight recently. Even the vet commented on it. Wendy goes to greet her daughter who has just come home from work. ‘Gemma and I catch up on the day. Twenty minutes must pass by like that and then Billy jumps down from my lap and sniffs at his empty bowl and sits, staring at it. “Ah no, I must have forgotten. Gemma looks at him, unsure. Wendy’s account is full of humour and she talks at the conference about being a “glass half full person” saying: “I am a positive person so I even see the positives in a bummer of a diagnosis”. Wendy used to work as a manager for the NHS at a hospital in Leeds and reveals “I used to be renowned for having a brilliant memory but it started letting me down badly. I came out of my office and I forgot where I was. “I had so many different diagnoses at the beginning. They said it was stress or the menopause when I had already had the menopause. I knew it wasn’t stress as I am not that type of person. She is determined to reduce the stigma around the disease and encourage others to take part in clinical trials and research. She has come up with strategies for living at home and says: “There are advantages to living alone as if somebody moves things about, they don’t exist for me any longer. Wendy finds images speak more to her than words so in her blogs she uses a lot of photos. “Photographs make me happy. People never take photos of people in a bad mood. When I feel anxious I go into my memory room which is filled with photographs and I look at them. “I do travel around the country a lot going to conferences on dementia but people see me and think it is easy for me. “But I have a pink file that tells me where I am going and has details on everything. It also has a plan B as trains don’t always go right. My Twitter friends are amazing and they will tell me what train to get if my train is cancelled.” Wendy admits that: “When I walk out of here today I will forget the details but I will remember the emotions. Wendy writes a blog Which Me Am I Today as she says: “It will hopefully convey the helplessness of those diagnosed with dementia, as there is no cure – the end is inevitable. “However, I’m also hoping I can convey that, although we’ve been diagnosed, people like me still have a substantial contribution to make; we still have a sense of humour; we still have feelings. I’m hoping to show the reality of trying to cope on a day-to-day basis with the ever-changing environment that dementia throws at those diagnosed with the condition. Living as well as you can with dementia is all about adapting. Adapting to new ways to enable us to live better for longer with dementia. “I can type as though dementia never entered my world as that part of my brain has not yet been affected, but that often works against me as people question my diagnosis. All I can say is, live a day in my shoes and I’m sure the reality will dawn. Thank you to everyone who voted for my book ‘Chatty Cat: My Purr-fect Friends’ to become a FINALIST in the People’s Book Prize. I am su-purr excited. Of course Chatty Cat (my rescue cat) is just taking it in her stride, mind you that’s probably because I haven’t told her. Voting is now open for people to vote again and this time it’s to vote for the book to WIN the children’s category. If you would like to vote for my book to WIN the People’s Book Prize please vote now! PS: My Chatty Cat books are written as though it’s Chatty Cat telling the stories. They are suitable for children of 8 years and above. And guess what? 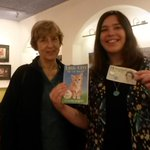 Adults love the Chatty Cat books too. An established author, from Lowestoft in Suffolk, has published a children’s book and all proceeds from book sales will be donated to Alzheimer’s Research UK. With more than 30 years’ experience working in the care sector Suzan Collins has met many people dealing with dementia, which has motivated her to support the UK’s leading dementia research charity and bring new treatments closer. The book Little Kitty – the Cat Burglar is aimed at seven to nine year olds (and adults will like it too!) and follows the adventures of Little Kitty told through the voices of eight writers. The cover for the book has been created by designer Rachel Lawston who also worked on the covers of the late Sir Terry Pratchett’s children’s novels The Johnny Maxwell Trilogy. Sir Terry Pratchett was a patron of Alzheimer’s Research UK until he passed away with Posterior Cortical Atrophy (PCA) in March this year. “During my time working in the care sector I have come into contact with many people living with dementia. It is a devastating condition and one where there are still huge advances to be made in the understanding of the disease processes. 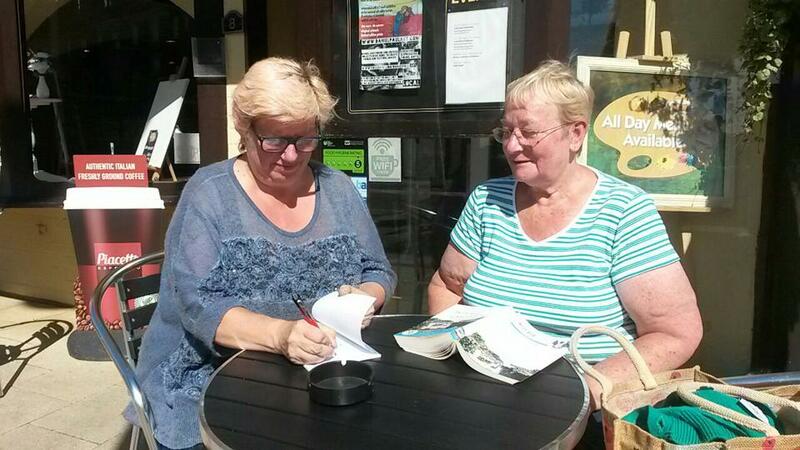 Local authors: Lucille Rayner, Ros Lyons, Ann Bowyer Jo Wilde. Other authors (from across the country): JB Johnston, Tracy Terry and Tottie Limejuice in France. Authors (L-R) Ann Bowyer, Lucille Rayner and I met with Jessica Hiscocks, Regional Fundraising Officer last week. 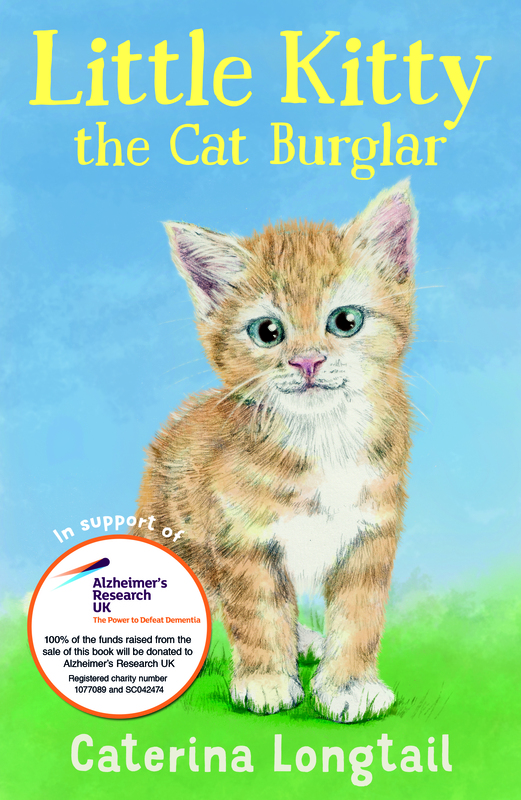 Little Kitty – the Cat Burglar is available to buy now on Amazon in both paperback and ebook/kindle and costs £5.00 and … ALL royalties go to Alzheimer’s Research UK. Oh and there’s more … it’s an ideal Christmas present. As you will have read in my recent blogs Jo Wilde and I are in our third year of organising the local Memory Walk to raise money for the Alzheimer’s Society and this year we also teamed up with six other authors, one children’s editor, one illustrator and one designer to create Little Kitty, a children’s book. We all gave our time freely and all royalties will go to Alzheimer’s Research UK. There’s so much going on at the moment, and life is getting very busy, what with all the writing and editing and publishing and fundraising. I’ve just been involved in a really exciting project – writing a book to raise money for Alzheimer’s Research UK, a great charity that is working hard to find a treatment for dementia. It’s the first time I’ve written anything that’s made it as far as publication – and seeing it out there in print is fantastic! I’m so excited, and sharing it with everybody! I signed my first copy today, that’s when I realised that I’m now an author…and I just want to keep writing. I can’t remember how I first got involved with the Alzheimer’s Memory Walk, but I suspect it was because Suzan asked me, and she’s not an easy person to say no to. Besides, I’ve always done various sorts of voluntary work, which I had less and less time for when my paid working hours got ridiculously long, so it was nice to get a chance to do something that didn’t take up as much time, but was equally valuable to the community. 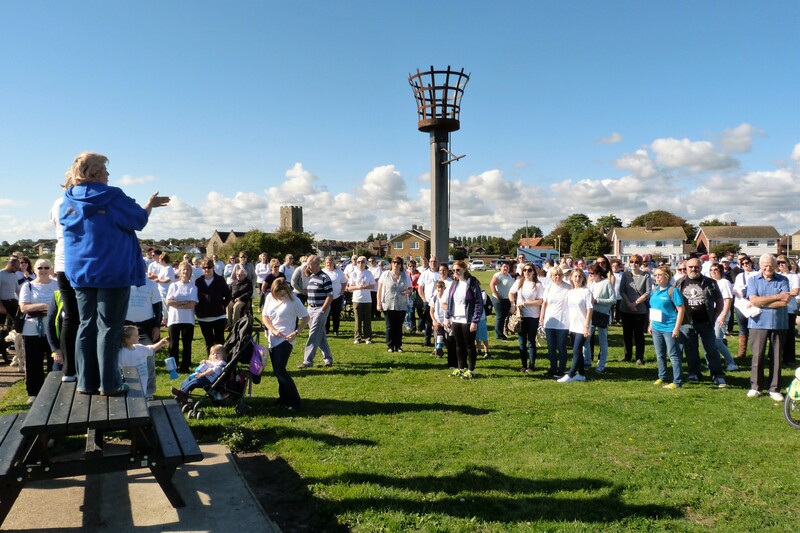 For the past couple of years, we’ve done all the organising locally, with some help from the local Alzheimer’s Society branch, but this year for the first time we registered as a community walk which meant we had involvement from regional and national offices. We’re trying to grow the walk, to enable more people to participate, and raise more money so that more people can benefit. This year for the first time, we had a whole committee to help organise, which has been great – there have been other people to do some of the work, and to bounce ideas off. I’ve met new people and reconnected with old friends, and altogether had a blast. Jo was born in Yorkshire, many more years ago than she cares to remember. She works in a theatre and a library, and fills up the rest of her time reading, writing, editing, proofreading, event organising, eating chocolate and drinking wine. Ann is a retired Business Studies teacher. She has two sons and six grandchildren, and lives in Norfolk. After writing factual articles for magazines, Ann published her first fictional book in 2013. A Token of Love, which is based on the true story of her grandparents’ lives, has sold all around the world. She was featured in an article in the Hindu, India’s national paper, and, following numerous requests, is due to publish a sequel, Lost in a Homeland. Suzan is an internationally selling author who writes in various genres, both fiction and non-fiction. Her non-fiction includes textbooks pertaining to her work as consultant and trainer in Social Care and Management. Suzan also writes fiction – naughty, spicy and otherwise – under the pen name Zina Adams. Tottie Limejuice is one of the pen names of former journalist and copywriter Lesley Tottie. Lesley lives in France and now writes full-time. Her travel memoirs are published under the name Tottie Limejuice, and she also writes crime novels as L M Krier and children’s books as L M Kay. Her interests include organic gardening, camping and walking with her two rescued border collies. Ros is interested in writing both fiction and memoirs. Her two cats provide much inspiration for creating stories. She belongs to two writing groups, where authors share their work and learn from each other. She enters the occasional writing competition and has had some success. 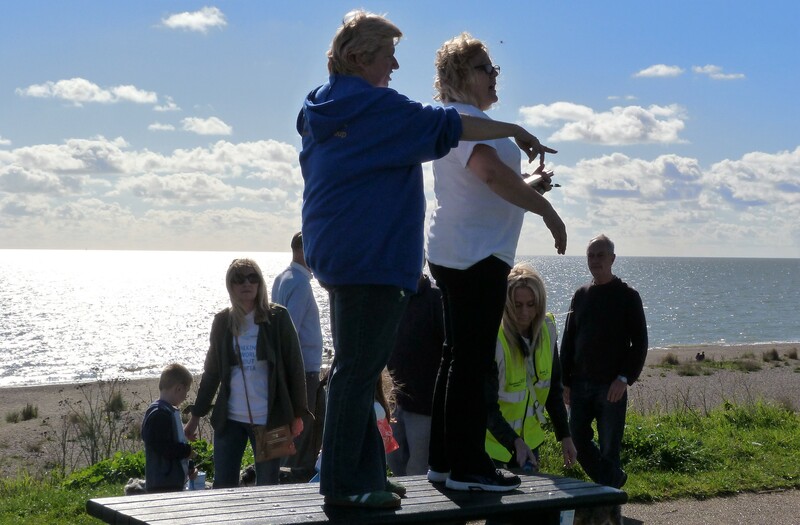 As well as writing, Ros enjoys walking, the theatre and playing social bridge. Lucille is a Support Worker and assists and supports older people. She loves holidays in the sunshine, family get-togethers and walking in the Suffolk countryside. Lucille enjoys writing in her spare time and is currently writing a children’s book. A Geordie lass, rumoured to have been born with a paperback in her hand, Tracy spends her days reading and reviewing books on her blog Pen and Paper. A lover of hedgehogs as well as cats, she also enjoys writing and receiving letters and is quite the movie buff. Her taste in films is almost as eclectic as her taste in novels! Catie is an illustrator and designer based in Leeds. When she’s not drawing, she enjoys reading, cooking, acting, singing in the choir and attempting to play various instruments – although not all at the same time! She also loves crime thrillers and is convinced that in another life she would have made a great detective! her two naughty Hermann’s tortoises, Daenerys and Om . . .
Jaine is a Senior Editor who has worked in Children’s publishing for over ten years. She has written and edited projects for many fantastic publishers, including Penguin Random House, Egmont, Parragon Books and Titan. She spends her spare time reading and writing, and hopes to one day have her own picture books – perhaps even a novel! – published. On Sunday we had our memory walk. The sky was aqua blue and the sun shone not only on us but also on the sea. It was beautiful. 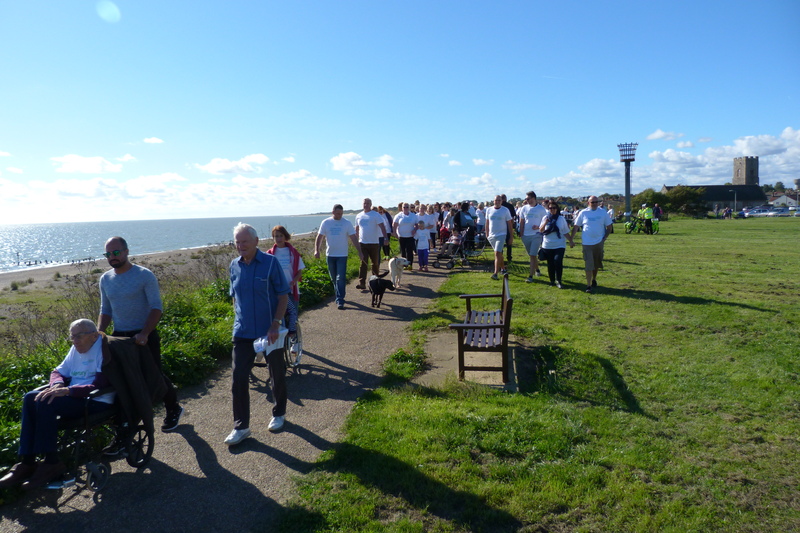 A beautiful day where everyone appeared happy but no doubt had mixed emotions, either walking for someone they knew who had dementia or walking in memory of someone who had passed who had dementia. 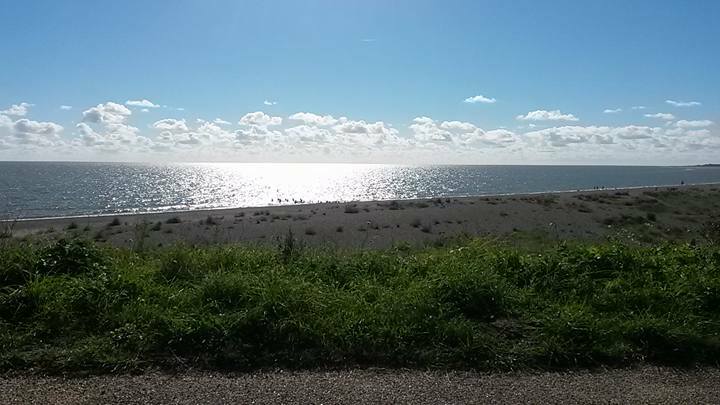 I took a few minutes of time out to sit on the bench and gaze into the sea, keeping my own emotions under control but I couldn’t help think of the lovely young lady who a short while previously asked if she could buy a second medal to put on her Nan’s grave. We gave her the medal. This fabulous young lady had cared for her Nan for many years and I take my hat off to her. 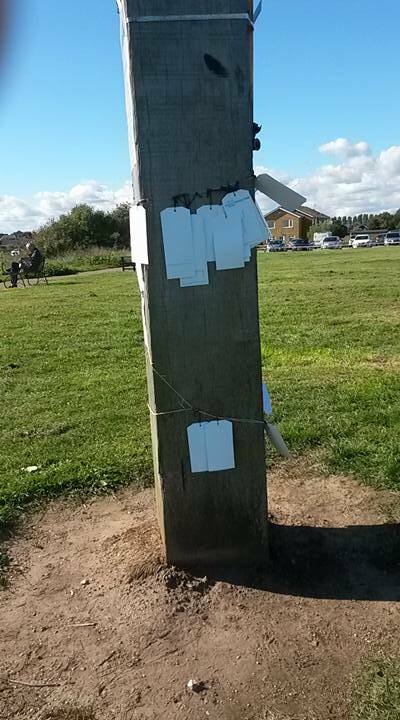 There wasn’t a tree where we held the walk so we couldn’t have a memory tree and instead we had a beacon tree (tied some string round the beacon and the walkers wrote on a tag who they were walking for and tied it to the string on the beacon). 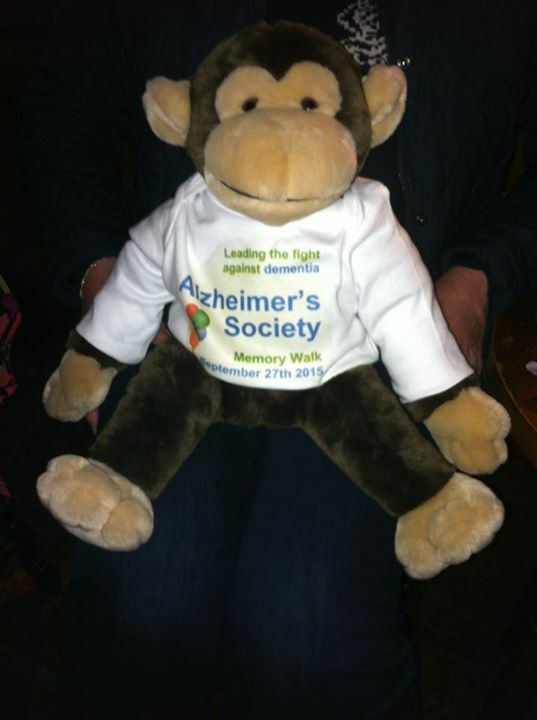 We had various stalls, cakes, guess the name of the monkey (he was called Charlie but I think he should have been called Dave), guess the weight of the cake, a super raffle, and we raised the fantastic amount of £747.49 (this amount does not include any sponsor money). Jo Wilde and I started the walks this year. Not expecting such a big crowd we didn’t really know how to get everyone’s attention and start the walk (next time we’ll have a microphone), so as you can see from this pic, Jo and I stood on the table, thanked everyone for supporting this great cause and then we counted down from 10-1 and off they walked, along the cliff overlooking the sea. We had two walked around, a small one of 2K and one of 4K and everyone, inc people pushing wheelchairs chose to do the 4K one. It will be a while before we know the actual amount that was raised as we wait for people to send in their sponsorship money and the on line just-giving pages are open for up to one year (which is great as someone has just put £15.00 on my page). The weekly totals for the amounts that have come in on the just-giving pages are passed on to me (in my role of one of the organisers) and we, the Lowestoft fundraising committee are proud to announce that already it looks like we will pass the £5000.00 mark. 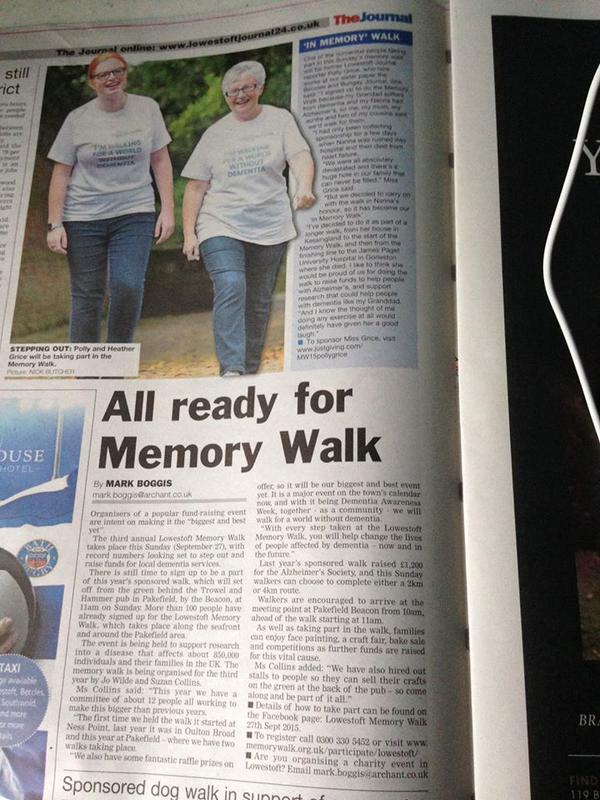 Our Memory Walk next year will be even bigger than this years. The committee will be meeting in two weeks’ time to discuss our next event. Here is our new page on Facebook, please feel free to like it and if you would like to be involved next year please let us know. 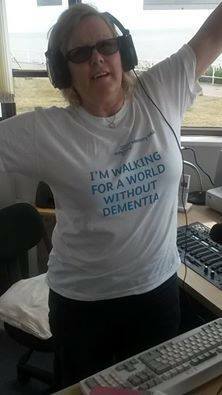 I am in my third year of organising the local Memory Walk with Jo Wilde for the Alzheimer’s Society. Previously Jo and I have organised this by ourselves but we had such a lot of interest last year so we designed a committee to help us and this year it is going swimmingly. Being with the committee group has been great to generate and discuss new ideas and this year our event will be better than ever. 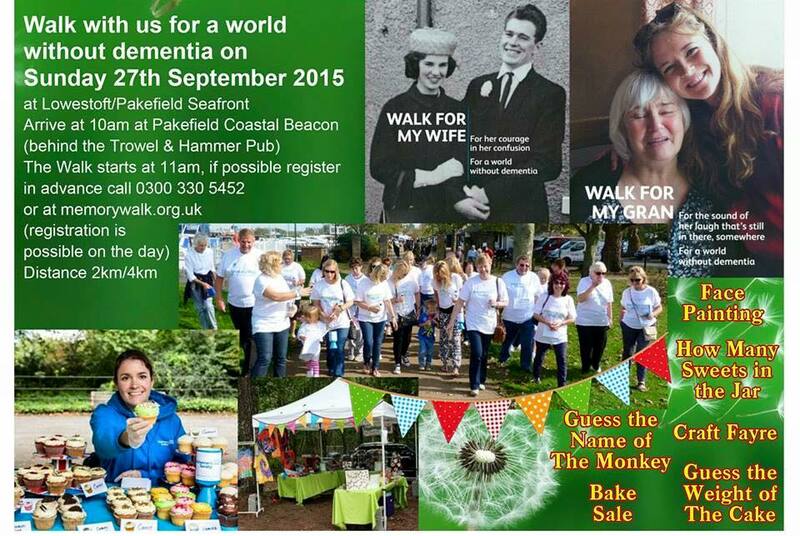 Not only do we have two walks but we also have various stalls inc: raffle, cake stalls, guess the name of the monkey (I think it should be called Dave), guess how many sweets in the jar, face painting and some craft stalls. It takes a lot of advertising to get an event off the ground and I had great fun talking on the radio promoting our event. I would like to pay a special thanks to TMS Media for writing our press releases, and the Lowestoft Journal and the Beach Radio for their support. Would also like to thank local businesses that have donated fab raffle prizes and their names will be in the post walk article in the newspaper. Thanks to the fab committee for all their hard work: Jo Wilde, Linda Harmer, Liana Moyse, Estelle Tasker, Carla Neve, Phil Mummery, Lucy Rayner, Helen Thwaites and Enid Thwaites.